Gooskens, Charlotte (2012). Non-linguists? judgments of linguistic distances between dialects. Dialectologia, 9, 27-51. Anja Schüppert & Charlotte Gooskens (2012). The role of extra-linguistic factors in receptive bilingualism: Evidence from Danish and Swedish pre-schoolers. International Journal of Bilingualism, 16(3), 332?347. Nanna H. Hilton, Anja Schüppert, Charlotte Gooskens (2011). Syllable reduction and articulation rates in Danish, Norwegian and Swedish. Nordic Journal of Linguistics, 34 (2), 215-237. Charlotte Gooskens, Vincent van Heuven & Renée van Bezooijen (2010). Is spoken Danish less intelligible than Swedish? Speech Communication 52, 1022-1037. Charlotte Gooskens, Renée van Bezooijen & Sebastian Kürschner (2010). The reflection of historical language contact in present-day Dutch and Swedish. In: M. Norde, B. de Jonge & C. Hasselblatt (eds.). Language contact. New perspectives. Amsterdam: John Benjamins, pp. 103-118. Charlotte Gooskens & Sebastian Kürschner (2009). Cross border intelligibility – on the intelligibility of Low German among speakers of Danish and Dutch. In: Alexandra N. Lenz, Charlotte Gooskens & Siemon Reker (eds.). Low Saxon dialects across borders – Niedersächsische Dialecte über Grenzen hinweg, Zeitschrift fur Dialektologie und Linguistik, Beihefte 138, 273-297. Sebastian Kürschner, Charlotte Gooskens & Renee van Bezooijen (2008). Linguistic determinants of the intelligibility of Swedish words among Danes International Journal of Humanities and Arts Computing, 2 (1-2), 83-100. Charlotte Gooskens, Karin Beijering & Wilbert Heeringa (2008). Phonetic and lexical predictors of intelligibility. International Journal of Humanities and Arts Computing, 2 (1-2), 63-81. Heeringa, Wilbert, Keith Johnson & Charlotte Gooskens (2008). Measuring Norwegian Dialect Distances using Acoustic Features. Speech Communication. 51 (2), 167-183. Gooskens, Charlotte (2007). The contribution of linguistic factors to the intelligibility of closely related languages. Journal of Multilingual and multicultural development. volume 28, issue 6, pp. 445-467. NWO Free Competition, € 1.000.000,-. Mutual intelligibility of closely related languages in Europe: linguistic and non-linguistic determinants, 2011-2015. PI. Co-applicant prof.dr. Vincent J. van Heuven, Leiden University. 3 PhD-students and 2 postdocs. CLARIN, € 58.260,-. Assaying differences via edit-distance of pronunciation transcriptions, 2010. Principal investigator. Cooperation with John Nerbonne from the University of Groningen and researchers from the Meertens Institute in Amsterdam. NWO/FWO (VNC), € 360.000,-. De onderlinge verstaanbaarheid van taalvariëteiten in de Lage Landen: linguïstische en attitudinele determinanten, 2010. Work leader in Groningen. Cooperation with researchers from Universities of Leuven and Nijmegen. 1 PhD student and 2 postdocs. Consulting researcher for projects: Measuring linguistic unity and diversity in Europe, funded by Volkswagen Stiftung (2006-2010); Internordisk sprogforståelse i en tid med øget internationalisering supported by the Nordic Cultural Fund; EuroComGerm, lead by prof.dr. 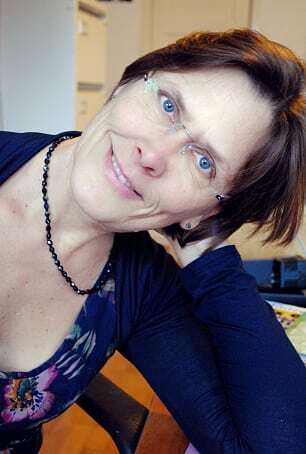 Britta Huffeisen.